IC2220 is known as the Toby Jug Nebula, named by astronomers P. Murdin, D. Allen and D. Malin because of its resemblence to the shape of an tankard called a Toby Jug. Toby Jugs have been around since the 18th century. 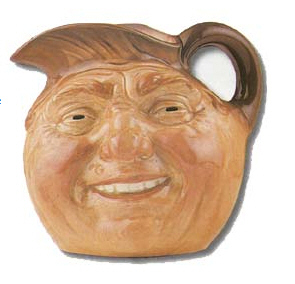 They were revived by Doulton in the 19th century as character jugs, which remain popular even today. No one still knows why the original jug was called Toby. Color was added in the 19th century, and the handles have taken on considerable diversity depending upon the character portrayed. 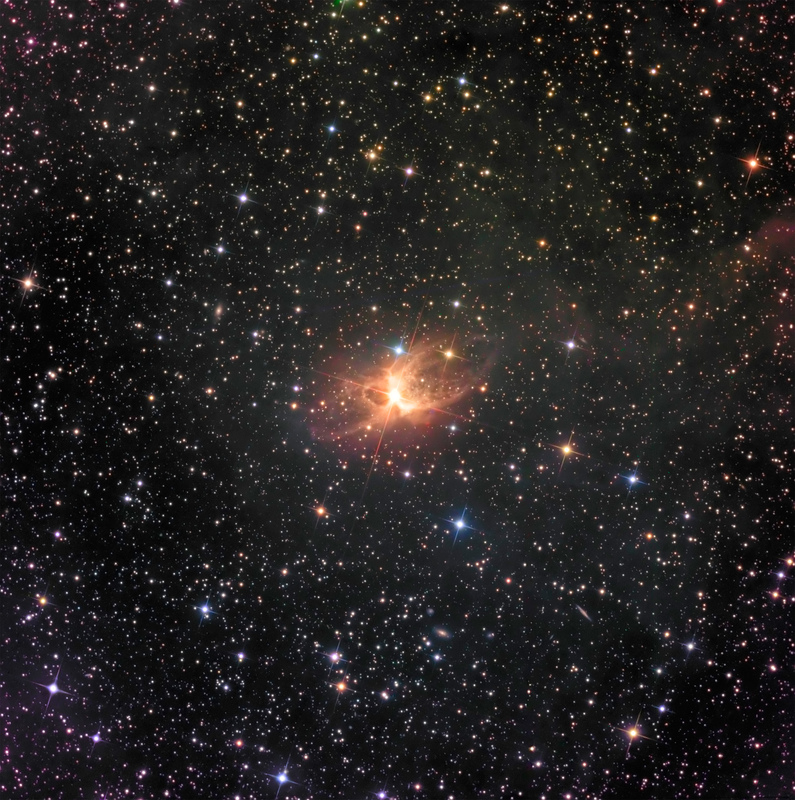 IC 2220 is ~ 2.5′, mag 13 and ~300 light years distant in the constellation of Carina. 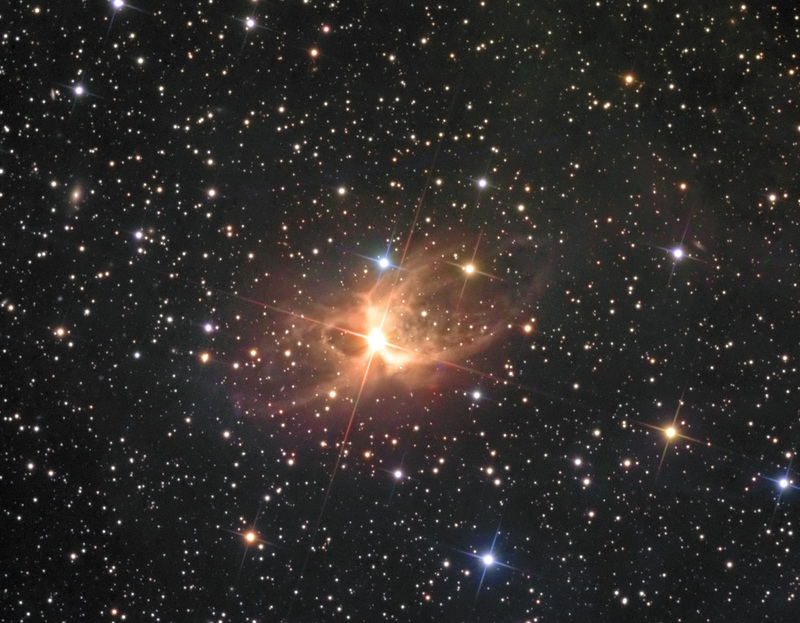 It is considered to be a bipolar and biconical reflection nebula around an early-M giant star, HR 65750. It is also thought that the nebular dust formed in the star’s outflolw. The Milky Way is a significant source of external illumination.